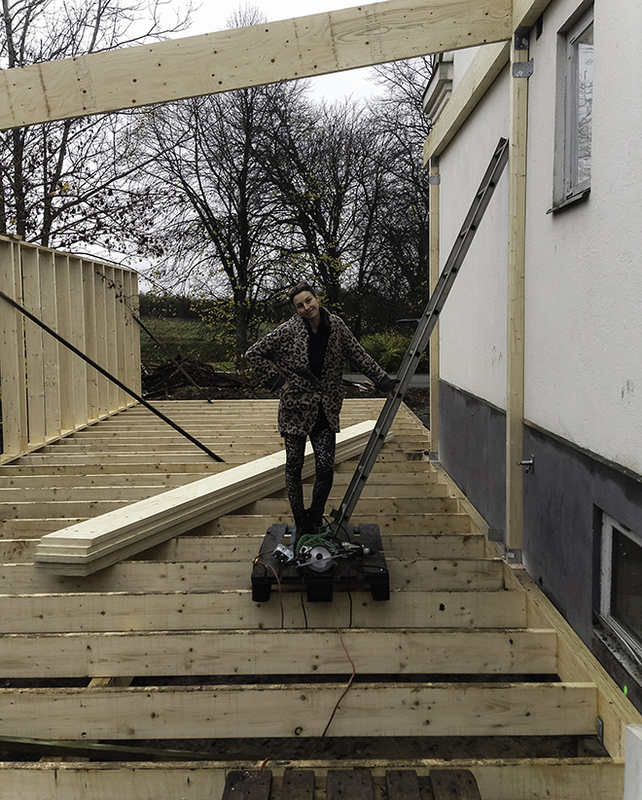 For years we´ve been planing to ad a studio to our house, and now it is finally happening. As you know Jens and I both work from home and it is a bit crowded but not for long. After Christmas we will be moving ourselves, our computers and other work related stuff out there. Wow va spännande och roligt! Så kul! Det ser ju jättestort ut. YES! skall bli sjukt kul att följa detta projekt, men var försiktig med elden!